STL has the capacity, infrastructure, convenience and passenger demand that airlines are looking for when it comes to establishing service in new markets or expanding service in current markets. No airport delivers the goods like STL. 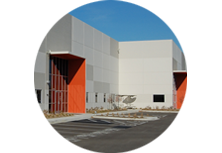 In addition to its central location, STL also has air cargo facilities designed to ensure quick and efficient handling of freight with easy access to all forms of multi-modal transportation. Businesses really take off at STL. From food and beverage to newsstand and specialty stores, STL provides a wide variety of retail options. Let us show you how to become part of the STL Concession Team. Establishing new passenger routes is a priority for STL. 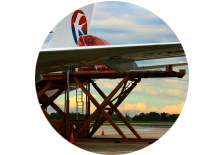 We’re committed to the success of each route and work closely with our airline partners to ensure such success. STL is committed to ensuring the most favorable business conditions possible for all its cargo partners, including airlines, freight forwarders, customs brokers and importers/exporters. STL has multiple properties both on and off the airfield that are currently available for development. Suitable for both aviation-related and non-aviation related businesses, these properties can provide the right land solution, right now. Doing business at STL is rewarding and profitable. Let us show you how to become part of the team. Demand to both domestic and international destinations offers airlines opportunities for route expansion. Ten major airlines and their code share partners provide service to more than 60 domestic and international destinations. 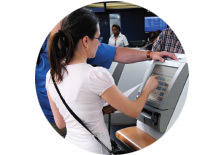 STL Air Service Incentive Programs reduce cost to airlines that initiate or grow service at STL. Marketing Support Program provides funds and resources to assist in the advertising and promotion of both new and existing service. are trademarks exclusively owned by the City of St. Louis, Missouri. © City of St. Louis, Missouri. All rights reserved.